I am a third year mechanical engineering student. When is the right time to start to begin my GATE preparation? I am an average ECE engineering student. 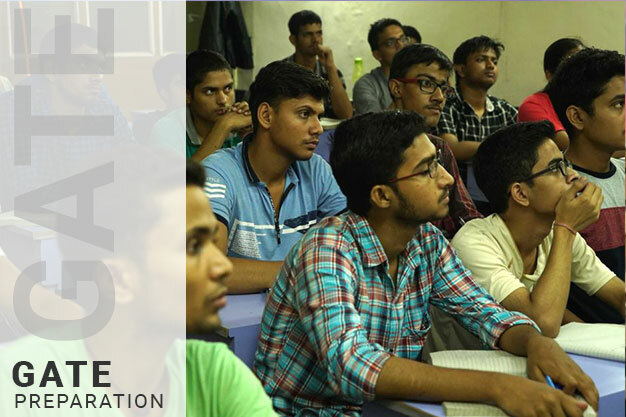 Can I make it to IIT Delhi with the right GATE preparation for ECE ? Is GATE preparation worth it? How many hours do I need to study to crack GATE preparation 2018 ? I'm a first year CS student? How do I prepare for GATE Computer Science? Which is the right GATE preparation material ? The internet is a hub of queries. Some are interesting. Some are redundant. And some are downright hubris. In the information age, knowledge is often scarce. Buried deep in within the mountain of webpages and click baits, will you ever find what you truly need? Here is something making order out of chaos. This article won't give you the secret elixir to cracking GATE 2018. You will unfortunately have to find it yourself. However, you will be given a roadmap. A path if you choose to walk on, will lead where you need to be. The aura of the IITs has long stood the test of time. 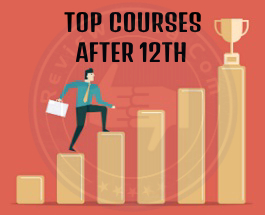 No matter how cynical or lackadaisical a generation might have been, the glamour of IITs has ruled minds of engineering aspirants all over the country. Why not? In a country as chaotic and clustered as ours, the IITs represent a doorway to instant gratification. The pomp of making it to the institute kept aside, one successful exam secures an uncertain future within a matter of four years. Say what you will about IIT and the moronic romanticism around it, seldom does an institute give such credence to an applicant’s profile. The ultimate dream which keeps on giving, the IITs seem poised to stay the most prestigious institutes in India for the coming few years. While JEE is considered the front gate to IIT, GATE is its lesser-known yet arguably more important backdoor. For any developing country, to have a government-sponsored strong science programme is imperative. Likewise, for any strong science programme, the emergence of quality science postgraduates is crucial. Now, that we're aware of the importance of GATE preparation; let us begin unearthing some misnomers about the exam. By the way, GATE registration is already underway. Don't let this hamper your GATE preparation. This point needed addressing as it has been asked too many times. GATE preparation is a hard slog requiring grit and heart. The GATE exam itself is not all that mystical. It has often been lauded as a smart exam needing quick thinking from a candidate, not extreme extrapolation of vivid concepts like JEE. A sound preparation of all concepts is enough to crack GATE. The key lies in mastering the entire length of the syllabus, which is the only true hindrance of GATE preparation. Due to no particular importance to certain sections, GATE preparation is more about sound completion rather than in-depth question-solving. Another quirk often misunderstood and misrepresented. Every forum online will be telling you to start GATE preparation at the end of your second year or the beginning of your third. The answer is apparently quite simple. You can start GATE preparation whenever you want. First year is a good time too. Second year is fine and the same goes for your third year. The difference is only in the number of hours you're devoting to your GATE preparation. Starting early means you'll have to study less in the latter years of your engineering. Instead of slogging 4-5 hours a day along with attending regular classes, you'll be able to divide time equitably during GATE preparation. However, if you so choose to start late, it isn't a problem at all. Some students prefer to let their hair down and enjoy the first few months of college. If that is what you want, go for it. As long as you deem GATE preparation to be a long-term goal, sitting back and letting college life seep in is also an option. Common mistake students make every year. Amongst the many GATE preparation tips, this is perhaps the most useful. You will find many students building book walls during GATE preparation around their desks as the exam date approaches. Studying the same topic from ten different sources lacks vision and coherence. To be truly proficient, stick to one, not more than two books for GATE preparation. There are many books out in the market who comprehensively compile many topics into a single book for GATE preparation. 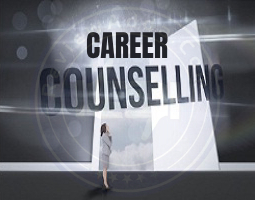 Go for such materials to prepare concisely. GATE preparation is solely based on being smart and proactive. Making the mistake of merely relying on being attentive in class and taking notes makes for a foolhardy GATE preparation. 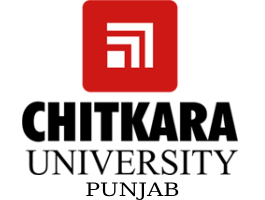 The main focus of colleges is to make students smart enough to sit for placements and earn bumper packages. While GATE preparation is not ignored, it is usually part of a peripheral agenda rather than gathering primary focus. To clarify, you don't have to shun coaching classes for GATE preparation. If you have the money and time to manage college and coaching classes, go for it. Focused training along with fellow peers for GATE preparation is never a bad idea. The danger lies in overkill. Too much GATE preparation usually dampens momentum towards the end of the race when candidates need to be at their best. If you feel absolutely determined about having the fuel to complete GATE preparation, coaching is ideal for you. Another trick many candidates miss is consulting faculties at their own college during GATE preparation. While depending on college curriculum is dangerous, getting handy GATE preparation tips and advice from professors is crucial to cracking competitive exams. 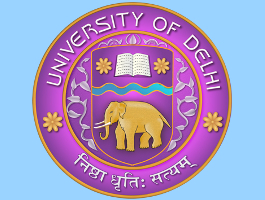 Many senior professors in colleges are alumni from IITs and NITs. Their advice thus will always be derived from experience and know-how. Using the resources at your disposal is essential for cracking any exam, let alone GATE. In college, there are many instances when your mind might be turned. 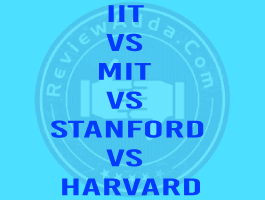 Seeing friends and roommates preparing for GRE, CAT or GMAT might dissuade your own goal of acing GATE preparation. The mistake students make at this stage is trying to prepare for all exams. Here lies the fault. GATE, GRE and CAT require a completely different approach. GATE preparation is not the same as CAT preparation or vice versa. The important lesson here is to identify which path you want to walk on. If studying abroad is something that excites you and is within your means, GRE is the perfect exam for you. Don't fool yourself over thinking you can achieve excellence in both. GATE preparation is not a game and the same can be said about other entrance exams. Success after college is purely based on vision. While looking at multiple exams besides GATE preparation should be out of the question, ignoring campus placements is another matter though. Getting placed in a top company requires plenty of skills aside from technical knowledge. The good news is these skills aren't subjective, but personality based. While GATE preparation hones your technical attributes, developing an affable persona to dazzle recruiters isn't so much about preparation than a simple change in attitude. Imagine a scenario where you fail to clear GATE and also remain jobless after B.Tech completion. Sit for interviews of companies you deem worthy of your talents. It wouldn't take a lot of time out of your GATE preparation and might just land you a great backup plan in case you fail to make it through GATE. 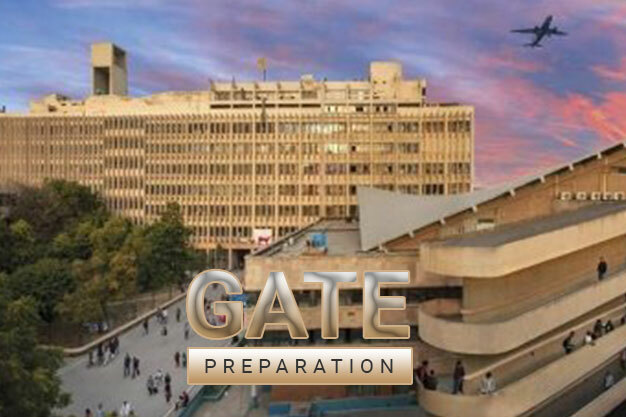 Unlike CAT, JEE or Civil Services, GATE preparation doesn't need your soul. A good 3-4 hour study every day is good enough to land a strong GATE rank. any students give their heart and soul to GATE preparation, but when they finally arrive for their first day of post-graduation, they realize their energy is sapped. Working so hard to reach the summit only to breathe slowly and die is a great travesty. GATE preparation should be your focus, but a life outside the bubble is crucial. Socialize with friends and family, do something you love and live a little. Only a hard day's night brings a sound and blissful sleep. Engineers around the world consider visionaries such as Tesla and Newton as the epitome of their respective fields. Yet only a few grasp their true message. A Masters in Technology makes you a lifelong patron of science and technology. While some may think this as an overstatement, but devoting six years of your youth to science should translate to something substantial. If you close your eyes and imagine yourself pioneering or being part of game-changing innovations and technological advances, GATE preparation is right for you. However, having no vision and preparing for the sake of getting the IIT tag is a monstrous waste of time and talent. Look at the big picture and only then nail down a decision on GATE preparation. GATE preparation can become a severe headache with too much self analysis. Like mentioned before, GATE isn't a deviously difficult exam to ace. Deliberating over weaknesses over and over again only disseminates confidence. Work hard to improve your level of GATE preparation and don't sabotage a good atmosphere with negativity and doubt. After myth busting of the highest order, one final GATE preparation tip : Have nerves of steel. It is something you can't call upon. The trickling sweat always sends a shiver down the spine as the GATE clock approaches. You'll be faced with times when you ponder your credentials. Some people will tell you it’s a fool's endeavour. A pipe dream. At times such as those, remember: A lion doesn't lose sleep over the opinion of sheep. When people can't do something themselves, they derive pleasure in telling everyone it’s impossible. Your GATE preparation is only as good as your nerve is in handling situations. Create optimism and cheer about yourself, success will find you nonetheless. Placement opportunity is not so good. Only few companies visits the college. This college lacks in providing placement opportunity/ A work placement gives you the chance to gain hands-on experience of the working world and can be invaluable to entering into your chosen career.